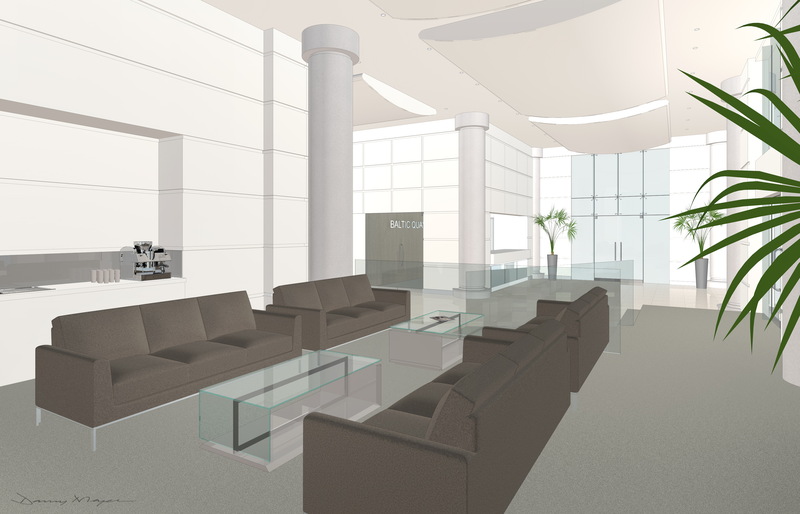 The lobby area will be refreshed. 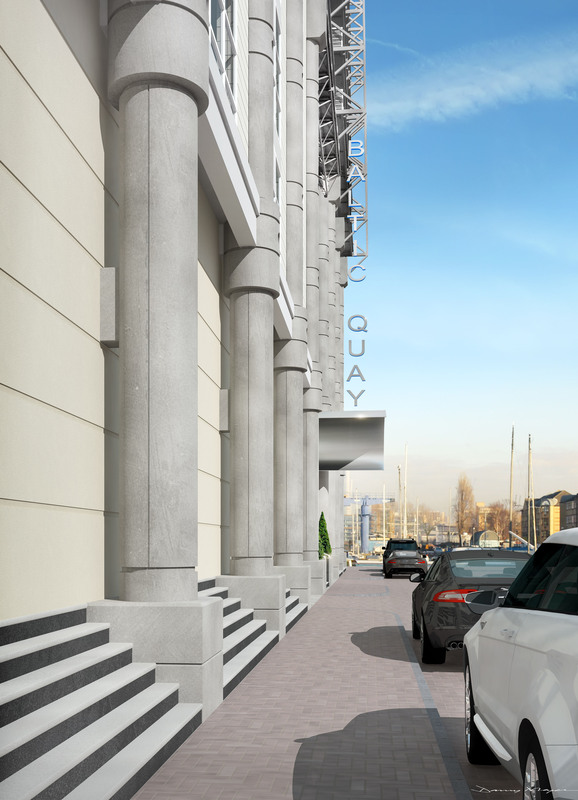 We have been concerned for some time at the plans proposed by Southwark Council to construct a very large new set of apartment blocks next to the boatyard site at the river front beyond ‘our’ marina. A small group of us have been in liaison with a boat owners initiative, and have attended several of their meetings and also meetings organized by the Southwark Council. These meetings have confirmed certain serious misgivings about the Council’s intention to act in contradiction to their own announced planning policies. After discussion with our Boards an independent petition has been drawn up expressing these concerns. Please click here to download this detailed petition. If you feel free to add your name to this petition, it will help us to preserve and enhance the environment we have come to value and to protect it against serious threat. 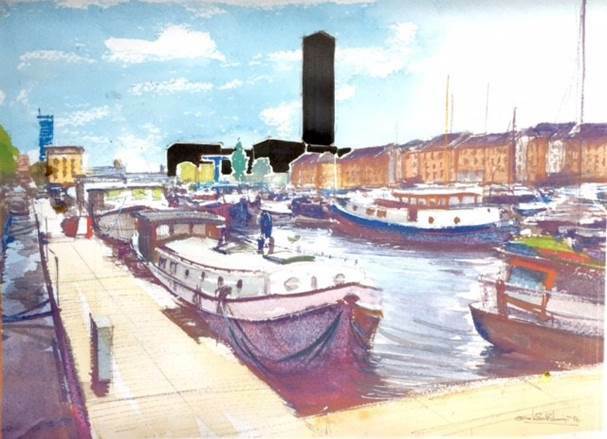 The above illustration was commissioned by a Baltic Quay owner who has lived in the block since 1999 in the wake of Southwark Council’s latest plans to build a 28-storey tower on the South Dock Marina. Whilst the Council has taken the project off its ‘rush’ list (because of the intensity of objections) there is still a way to go to stop this development. There is a vibrant, cross-community campaign spanning boat owners and local residents and owners of all kinds – search for Save South Dock BoatYard on Facebook or you can find it at http://tinyurl.com/savesouthdock. Registering there is a great way to keep informed during the coming critical year. An initial fighting fund of £7,000 was crowdfunded within a few weeks this summer, and solicitors and a planning consultant with national reputations have been chosen. There is an open discussion organised by the campaign at 7-8pm on Wednesday 7 December at the Docklands Settlement Centre, 400 Salter Road, London SE16 5LJ. Yesterday the managing agents sent notices to leaseholders concerning the Internal Repair works. The managing agents will be happy to discuss these works and figures at the meeting on 28th November. By now all leaseholders should have received a letter inviting them to a meeting that will be held on 28th of November 2016 at 7:30 pm in the main foyer of Baltic Quay. The purpose of this meeting is to discuss the upcoming internal repair and redecoration works and the proposed entrance refurbishment works. We will be updating leaseholders on the progress of the Section 20 process for the internal works for which the notice was circulated in late July. 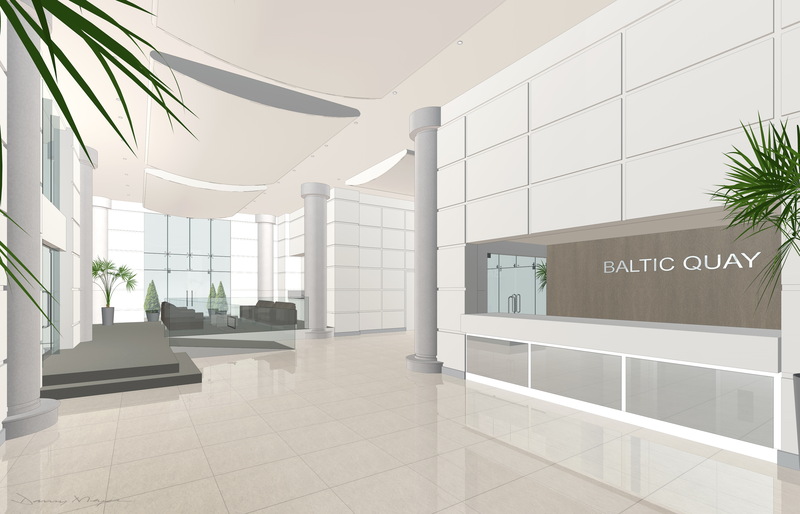 Further to the feedback received at the last AGM held in May, we would like to present the following designs for the entrance refurbishment at Baltic Quay. Please find attached the proposed designs. 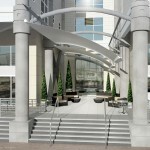 The discussion at the last AGM focused on whether to shift the main entrance away from Sweden Gate to Boat Lifter Way. Based on the comments made, there seemed to be a consensus to keep Sweden Gate as the main entrance. 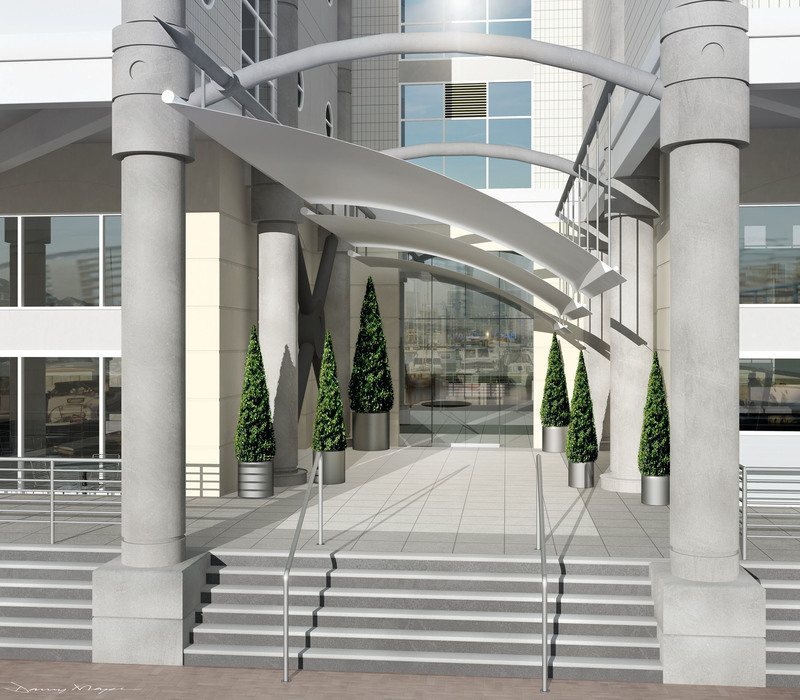 However, the idea of having a focal entrance, regardless of whether it was the main entrance, was explored and to that end, we have included a visual image of the proposed design for the Marina entrance. 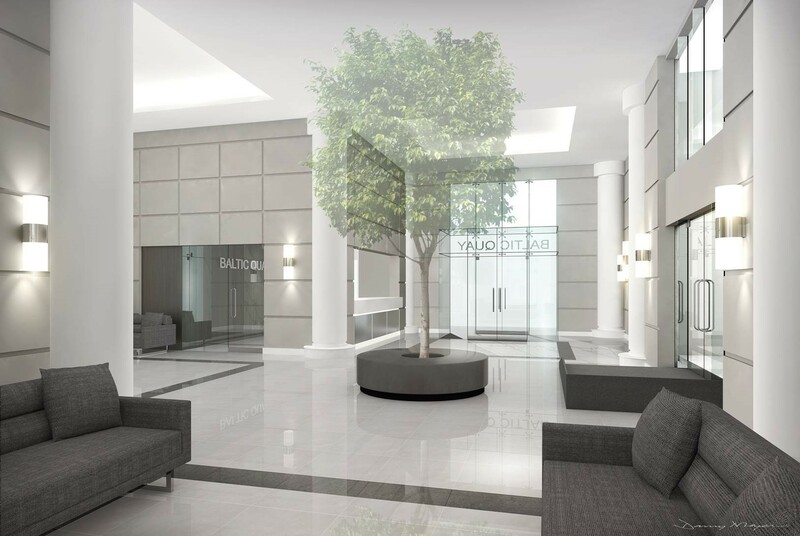 Also included in the proposal are the images for the internal entrance area. There is also a floorplan to show the proposed layout. 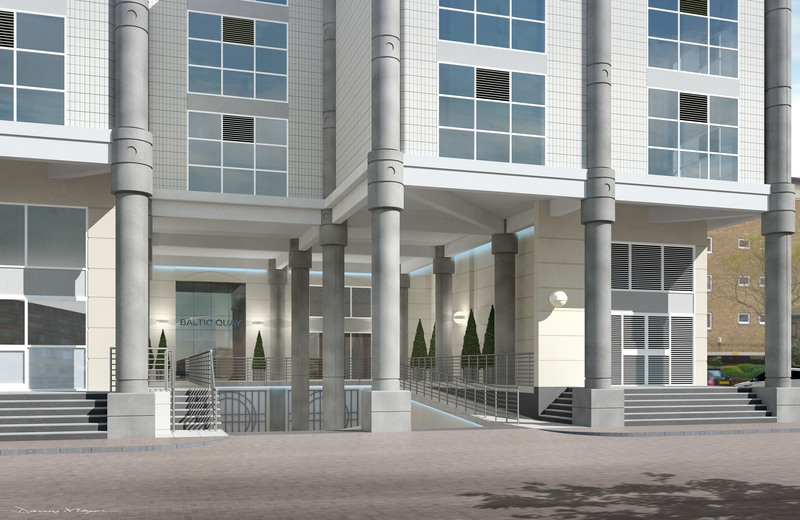 This weekend the board learned of a ‘consultation’ on the proposed South Dock tower. Thank you for your email earlier today. The public consultation will take place at Canada Water Culture Space (SE16 7AR) on Monday 19th September from 5.30pm to 8.30pm. Leaflets are being delivered this weekend. I’ve just checked the web site and the information is now there but I’ll get a few layout changes organised for Monday, so it is clearer. 7pm to 8.30pm Presentation and Q&A session with Councillor Mark Williams. I will also be there supported by our architects etc so we can answer all questions. Thank you for interest in this proposal and we will look forward to seeing you on the 19th September. The manner and timing of this round of consultation indicate Southwark Council’s attitude. Everything we have seen so far suggests that they will still be proposing to build a tower of 20+ storeys at the river end of South Dock. It is in your interest to find out at first hand what is now proposed, and to comment to the Council. If you are not able to attend but want to be kept in touch, or if you are concerned, please take a look at the Save Our Boatyard Facebook page: https://en-gb.facebook.com/StGeorgesWharfSE16/ This is a well-organised community group spanning boat-owners and local residents of all kinds, including a number of Baltic Quay owners, which has raised an initial fighting fund of several thousand pounds. 12-9-16 We have now received a copy of the official invitation, click here: SouthDock exhibition to download it. 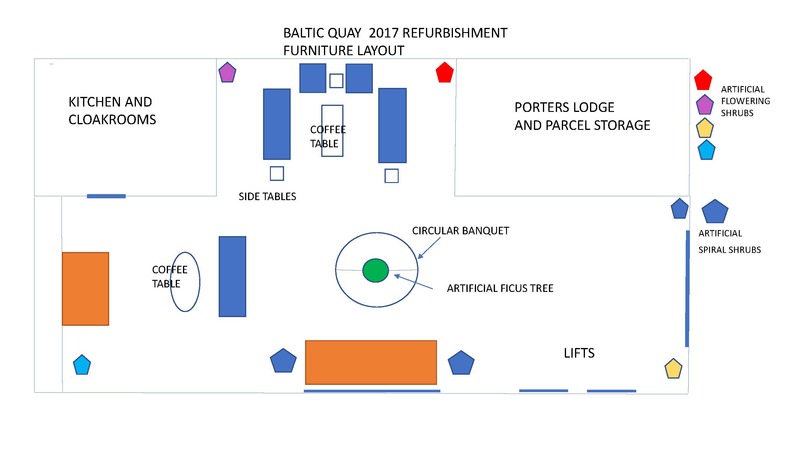 News from the Porter’s Desk is to inform you about maintenance and security at Baltic Quay, and to give you information about matters regularly asked about at the desk. This simply supplements other bulletins from Parkgate Aspen and the Board on the managing of the building more generally. Work by Hyperoptic is proceeding well on the installation of broadband throughout the building and we are told that the system should be up and running by the end of August. For those of you who have not yet arranged for a connection, we are happy to provide details of the people to contact. They would then explain to you the arrangements. Hyperoptic will run an Open Forum on Sept 1 at 4pm to 8pm to answer questions and provide information. All are welcome. Lift No. 5 in the Podium is now restored to normal service, while Lift No. 4 to the garage, opposite Reception, is awaiting spare parts for it to be safe. Clearly safety takes priority over quick fixes, even if inconvenient. 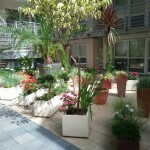 The new garden contractor is in the process of extending the nice effect achieved in the main courtyard to as many other areas as feasible. This requires attention to the problem of regular watering, and to plant containers, and new taps are being installed around the building to allow that problem to be solved. We welcome our new cleaner Nicola and her cheerful contribution to the New Look Baltic Quay as it emerges. The rumour mill has been running overtime about the shops that will grace the ground floor of Tavern Quay across the street. But facts are very hard to establish. We hear stories of a restaurant but will keep you informed when we know. We will keep a log of your pet hates and preferences if you subscribe to our secret notebook, and will feed them anonymously into the ears of any prospectors we meet. The book and video exchange is a hive of activity, and you are reminded that you are welcome to put in and take out as you wish (but please bring back). To celebrate its service being appreciated plans are in hand to enhance its housing and appearance, so as to show other buildings what a civilized building this is. On Sunday night Aug 14, at 3.20 am, George on patrol noticed a character behaving suspiciously in Rope St near the building, and called the police. They arrived quickly and found the man forcing entry into a flat, having just done the same in a second flat. He was arrested immediately and detained for DNA testing. The officer has since commended George for his actions, as they found from the DNA that the thief had at least six other offences in the area and they had been trying to catch him for some time. He is now out of sight, but people like him are not out of mind as far as your devoted guardians are concerned. 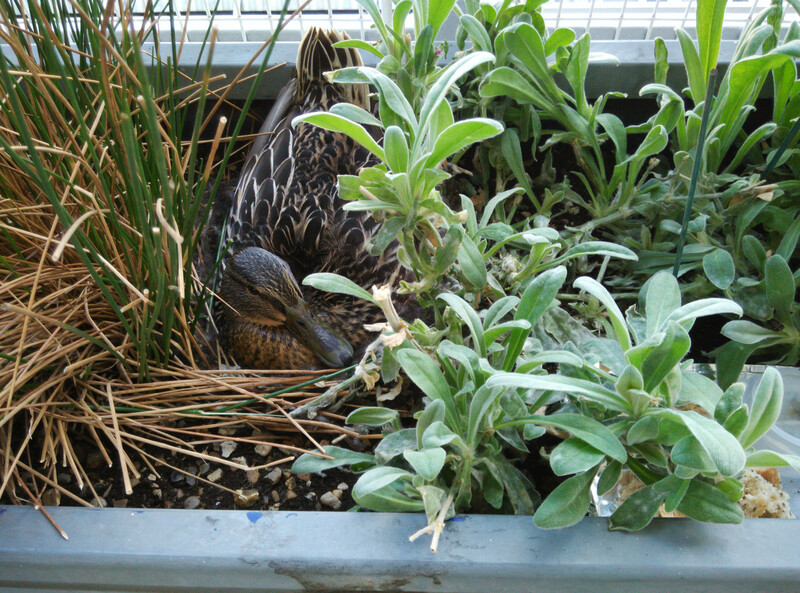 In the Springtime ducks sometimes nest in among the foliage in one of our upstairs plant holders. 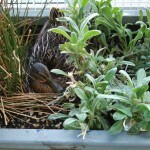 It remains a puzzle as to how they get the ducklings down to the water when the time comes, and nature has many wonders. But two weeks ago a whole family were given a ride. A plumber was working on a 4th floor apartment and left the front door open, to be interrupted a bit later by an unusual noise. Turning round he found that an entire family of duck, drake, and four ducklings, presumably from a nearby nest, had waddled into the flat and clearly found it very satisfactory indeed, even though a little dry. The Porter’s desk sprang into action and joined the plumber in packaging the family into a cardboard box – not without protest and great deal of spirited quacking – until they were able to emerge on the water where nature had intended. Their chorus of appreciation was warming to the heart. Those of you who stroll down Greenland Dock will be aware of the sit-in on the Wibbly Wobbly boat by a group of squatters seemingly acting under the laws of the sea and flying the skull and cross-bones. There is even a resident skeleton on this pirate ship. This seems related to the Council’s notice posted there some months ago proposing that the old Wibbly be towed away to the breakers yard, as no longer seaworthy. We are intrigued by this fascinating local event, and if anyone has any information about the dispute, of relevance to our residents, please let us know and we will be able to inform people. In the meantime we advise you not to walk the plank. George Wells, Matthew Murch, Alan Stay, Sam Ogun . Helen Jones kindly forwarded these notes taken by a resident in another building from a February “Consultation”. - The towers are increasing in height. The 20 storey tower is now proposed as 22, and the 15 storey tower now proposed as 16. This is intended to reduce the height by 1 storey of the development elevation facing Calypso Way (now 7 storeys, rather than 8). - The tenure split is now 50% private, and 50% mix of intermediate and social housing, rather than the 1/3:1/3:1/3 split proposed before. 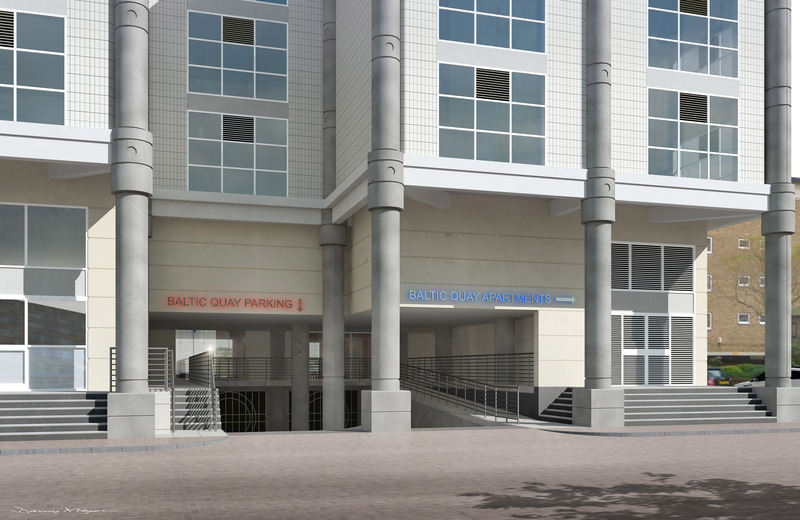 This seems to be due to changes in the cost plan of the project, and additional costs associated with increasing the number of provided parking spaces, and thus the size of the basement. 60% parking provision is now proposed for the car park, so approx 130 car park spaces. I don’t think this is particularly relevant for the planning submission, but it shows that the project is under pressure from a cost perspective. - The transportation assessments have not adequately considered traffic on Plough Way, particularly the bottleneck at the end, where it joins Lower Road. - The wind assessments show unsafe levels of wind gusting around the base of the development near the corners, and mitigation measures are ‘currently being explored’. The Thames Path section which runs between the river and the development, could therefore become an exceptionally unpleasant place to walk – due to being overtowered by the development, in permanent shade from about midday, and high winds. - Daylight studies show that at least in winter, Dockmasters Quay will be overshadowed by the development for the whole morning.. The bottom line is that Southwark are going to planning with this scheme. We need to make our voices heard at the review stage. The project timeline shows a ‘public exhibition’ prior to application submission. This is not a consultation event and will only be an exhibition of the final scheme to be submitted to planning. Southwark did mention that they think another consultation is required between now and then,but have not decided on the format. The planning application is set to be submitted (current plan is May). The new managing agents (Park Aspen) have kindly provided an electronic copy of their first newsletter. Click the link below to download the PDF. This is a transcript of a forum of leaseholders of Baltic Quay Management (1994) Limited held on November 30, 2015. It is based on a telephone recording and as the acoustics in the atrium are not very good there may be some gaps in the transcript. We trust you will find this transcript useful. Yvonne: The purpose of the forum today is to discuss the status of the management of the building and provide an update on the ongoing freehold purchase transaction. This is not an official meeting of the Baltic Quay Management (1994) but what we wanted to keep you updated given we are now six weeks into having our interim management agency, we thought it would be helpful if you could receive an update as to understand what’s happened since the tender process came to an end. Also, we’d like to take this opportunity to introduce Parkgate Aspen, who the board would like to appoint as the managing agents for the buildings (based on a recommendation from JAR who handled the independent tender process) and they have some views as to what they can do that would be of benefit to us. And we’re delighted to also have Michael Flemming – John – why did I call you Michael? Sorry. John, who is an architect and is connected with a firm of surveyors, and he also has some views for this space and for the building in general. We’d also like to take your views as to what you think are the really immediate steps that need to be taken so that you can really feel that you’re receiving value for the service charge; we’re keeping a very strong eye on keeping the service charge under control but also showing that the value for that. And following that; not a major part but just for those who are interested; I will then give you an update on the stages of the freehold purchase action. Okay? Right so, I’d like to hand over to Ed Buxton, our assigned property manager from James Andrew Residential, just to give us a brief update as to what has happened today and what they plan for the next remaining six weeks of their tenure. Ed: Do you want me to stand up? Yvonne: It’s up to you. Ed: Hi, nice to meet you all. My name’s Ed Buxton. I work for James Andrew Residential; you may or may not have spoken to me so far by phone or over the email. But our main jobs since we’ve taken over from (inaudible) Jones have been obviously to provide some stability and to get a handle of the accounts. Unfortunately, as is with every handover that you have with previous managing agencies, it’s never easy to be honest with you. It is always a difficult process. The handover from (inaudible) Jones has been rather poor to be honest with you. The information that we received has been you know, spits and spats; we still haven’t got the majority of the financial information that we would ideally like, which is probably why maybe some of you here tonight, have received a letter from us the end of last week for arrears. So unfortunately, we are finding there are quite a few people who are in arrears on their account for service charge and sinking fund, which obviously does not help towards the maintenance for the building because we are low on funds. So we are trying to get a handle of the accounts and I feel we’re doing a good job so far; we’ve managed to gain some of the information, obtain some of the information like I say, from using (inaudible) over time. And our aim really is to re-tender lots of contracts. I think you may agree that the cleaning contract needs to be re-tendered, which is what we’ve done. The current cleaners, Mara, do a fantastic job for the hours they’re given. I think there’s only one cleaner on site here and he only works four and a half hours per day, which is twenty two and a half hours per week and I think you agree, for a building of this size, we should really have three main sectors; not people. It’s not enough. And I’ve noticed that several areas where they’re a bit neglected and I feel that the cleaning standard is not up to scratch for that reason. So we have re-tendered to three different companies; actually two different companies, plus Mara – we gave them the opportunity to re-tender. But what we would like to do is to increase the number of cleaners from one to three and keep the same number of hours; so four and a half hours per day; but it would be obviously three operatives, so it will increase the time in terms of pay from one to three. We thought that was the only way to get the standard of cleaning right up to where it should be and improve the overall image of the building. We’ve also tendered to the same companies for a deep clean of the building. I feel the deep clean is necessary, especially on the carpeted areas and the hard floor areas in communal parts of the building. They could definitely do with… they definitely need to be tended to; there’s a lot of areas that, like I say, have been neglected purely because one person has had the duty to carry out that work for a number of years now. Another area we’ve tendered in is for the car park. The car park’s not been cleaned; as far as I’m aware; for fifteen years and it’s not becoming rather dirty and could really do with bringing the image up and bringing the standard up by quite a bit. So we’ve re-tendered to these contractors and we presented the quotes to the board of directors. I had a meeting with Yvonne and David less than a couple of weeks ago; we’ve gone through them and we’re quite happy to proceed with a company called Office & General, known as O&G, to carry out a deep clean to the building. We’ve actually got some dates, probably for next Thursday and Friday now, so they’ll use four operatives for two days to do a deep clean of the whole building. And we’ve also asked them to do the deep cleaning of the car park. Their quotation compared to Templewood, who also tendered, and Mara; they were much cheaper. A lot more competitive. We used O&G on a number of big sites when I was in Kings Cross and they did a fantastic job so I trust that their work’s going to be the same for this building as well. So we would like them to proceed with the deep cleaning of the car park but that would be a much harder task than the overall cleaning for the building because the deep clean for the building, they can just get on with that and they don’t really need to notify you all, although we will put notices up in the communal areas. The car park one is a lot more difficult, purely because first of all, we’re going to have to get people to move their vehicles once we do sections at a time and I’m aware that some people may not be around or people could be on holiday or cars that have been there for a period of time, we don’t know who the actual owner is so it could be a hard task. But the best thing we can do is to write to all (inaudible), notify them that we intend to carry out a deep clean to the car park, which we can do in two weeks, three weeks; depending on what the board of director’s preferences are. Like I say, this will require the cooperation of everyone so that we can, like I say, bring up the standard. Yvonne: Ideally, on the deep clean of the building, that’s next week; Thursday, Friday; great. So that going into early December, we have much cleaner common areas and then it’s also easier then for ongoing maintenance and you know, we can see whether we really need three operatives going forward or whether actually we could use a smaller number. With respect to the car park, of course this will have to be done in stages. There’s a bit more logistics involved in terms of either asking you to move to park in certain bays for a day while your section of the parking is being cleaned and then you can move back but I mean, if you’ve got any… or you could leave your keys at reception and then your car could be moved into another available parking space or else, failing that, the cleaners will clean around your car to the best of their ability but we accept no liability if there is any damage to your car as a result of that. Ed: We feel, like I say, the deep clean is really necessary for the car park and we will write to everyone. If no one responds and doesn’t move their car, as Yvonne has mentioned, the cleaners will have to clean around your vehicle. So okay, the car park will certainly look a lot better than it is in its current state but your vehicle may be damaged by the chemicals that are used on the flooring so we would hope that we can get your cooperation on that and get people to move. It won’t all be done in one time; it’ll probably take about five days to do the deep clean because it is a huge area; you know, you’re talking two levels of car park. So it will probably be done over five days and four operatives will be used for that process as well. Does anyone have any questions on that particular aspect? Audience: What about the storage boxes in the parking spaces? Ed: We’ve talked about that as well because I’ve noticed obviously on my inspections, there are a number of items that there that shouldn’t be. For a start, they’re against health and safety. Clearly, nothing’s been done in the past about that. The only thing we can do again is to write to everyone and ask them to move these particular items. Now I don’t know whether those items, if they’re in a certain bay, they belong to the person who owns that bay – I’m guessing they do but I hope the board of directors know more than that. We can write to everyone and ask them to move those items and perhaps if they don’t within 14 days of the letter, then we can ask someone to remove them. Yvonne: Well, I think given that people are going into the holiday period and whatever, I think fourteen days is not necessarily enough time to get people then to move their stuff. So what I would say is yes, if you can move your green box… your storage box around, that would be great. If you can’t, we will clean around it. When Parkgate Aspen come in, in January, we’re going to have the resident guys in, and based on their assessment of the building, they’ll also give us guidance as to what kind of storage we can have. So that then people have time to actually organise their storage in their spaces and whatever. Ed? : The only reason why I touched on that point about (inaudible) is because it is against health and safety and it’ll be brought up in the health and safety report. The car park shouldn’t have any items in there at all, just the same as the communal areas for the building itself. Yvonne: We want to comply with health and safety but at the same time, we don’t want to be Draconian so I think it’s important if we identify which other ones are against the health and safety that would need to be moved or adjusted for health and safety rules, we can then contact those particular lease holders. Melyvn do you have a question/comment? Melvyn Simonson: Elsewhere, we have a problem with abandoned bikes because people leave them in the bike racks from before. So we put coloured tape on the ones that are obviously abandoned, with flat tyres and whatever, and we give them a couple of weeks. After which we go around with bolt cutters and just remove them, have them dumped. Ed: That’s quite a normal procedure. We do this in a lot of buildings. Especially with a building of this size, you get tenants moving in and out and they may leave a bike behind that they have no use for anymore; it’s old and they naturally just don’t care, they leave it. So again, if you write to people and say please remove your bike if it is yours and if they don’t, then like you say, you can give them two weeks and then have them removed. Yvonne: Now, on the bikes; just as a general point; we are looking at improving bike storage in the building so that’s one of the things… I don’t think we’ll get there by Christmas but it’s something that we hope to get to as part of the initial day plans for Park Aspen’s early days, to sort out bike storage because we know a lot of people in the building have bikes and it would just be easier to have them more accessible and out of those spaces. Ed: Can I ask you who gave you that information? Ed: I’m surprised they said that but then again, I don’t know why they said that but all I can say is that if you look at your lease, it would be against the terms of your lease to leave storage items in the car park. But as Yvonne said, I don’t want to be Draconian straightaway and just come in… We just want to manage the building effectively and efficiently for you, the lessees, and we want to get value for money for you; that’s why we’re re-tendering certain contracts but those sort of issues; health and safety wise; they need to be addressed, whether it’s now or within a few months, they do need to be addressed. But I can tell you now that they shouldn’t be there. Yvonne: Is there nothing you can put in there; no storage? Ed: Not in the car park, no because a health and safety assessor would see that as flammable items. So in the event of a fire, everyone’s trapped in the car parks. Health and safety assessors are very strict on all those sort of issues. 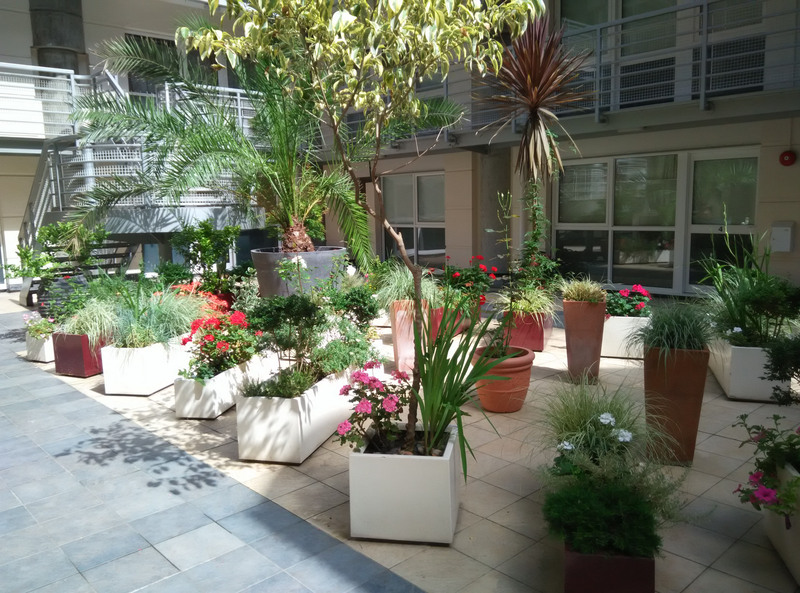 You know, you could have a plant in a communal area and they would see that as a health and safety hazard or a fire risk and sometimes you have to address certain issues in a different way. I mean obviously I personally think a plant may be going over the top but if it’s brought up in the health and safety assessment, you still have to address it. Yvonne: Okay, so what we have is if we had a health and safety assessment done, because that was the cause of some friction in the past, I would say that we’ll have a look at that report. I don’t recall – because Keith and David and I are all looking at each other – I don’t recall that it specifically gave us bad marks for those but I know that as part of the handover to Parkgate Aspen, they will give us information about what we can and can’t do. And the good news is because we are hoping to go through the freehold transaction purchase, if we can then explicitly say it is against the terms of the lease, we could look at then saying what we can say is acceptable storage in your parking space. That’s part of the advantage of our being in control of the building completely; otherwise we are dealing with third party … I’m just conscious of time and it’s cold. So I think the key message, to summarise, is you’re focused on the accounts, focused on arrears. I must say I was surprised when James Andrew – as you know, we previously did not have a transparency into the financials – and discovered that there are a number of lessees who are actually two years behind on their service charges and the board was never informed of this. So we’re going to be working with James Andrew to try and get that up to date as soon as possible. I think when we move onto the new regime, because as you know, our bank accounts are not currently held in accordance with the landlords and tenants’ act, we’re the ones who control the money and actually it should be in a trust account and the managing agents are generally supposed to provide the trust account that they control. So we will be looking to be compliant and have all the direct debits into that; all of us pay into the trust account because then we have greater protections. And when we do that, the goal is that then you will all be able to, if you wish, pay by direct debit, without having to incur paying a monthly fee for the privilege of paying by direct debit. You know, most companies, when you pay by direct debit, you get a discount on your fees but we’re not in a position to give you a discount but at least we can say we won’t charge you extra for that. So of course we will consult with you as we make those moves so that you’re aware and of course your feedback is always welcome. Audience: I’ve just got one naïve question. Audience: It’s about this deep clean in the garage and the basement. There are obviously a lot of leaks in the various basements and are we sure that with the toxic solutions in the top garage, it won’t seep down onto the cars parked underneath? There are some strange holes in this building and you might think you’re very safe doing it. Ed: That’s something that the company, O&G, says. They’ve already been here a few times and had a look over the building because they’ve also, like I say, tendered for the actual cleaning for the building as well so that’s something they’ll assess. Yvonne: And they will be working with Callows, so Callow services, who are currently the firm that do most of the plumbing work. They’ve been dealing with the leaks that we have had. Most of the leaks we’ve had in the last six to eight weeks – months, have actually been tenant originated as opposed to something from the building. But we also have had leaks that we are responsible for fixing, which goes down to because the guttering isn’t well or we have blocked pipes because again, the cleaning of certain – you’ve got blockages etc and that’s then caused leaks in other parts of the building. So that’s something that is a separate project; looking at all of that. Any other questions for Ed on what’s happened in the last six weeks or next six weeks? I mean the goal is we’re trying to get the financial accounts finalised by Christmas but that again depends on whether the queries that the accountant has will be answered to a satisfactory degree or not. At this stage then, I’d like to hand over to – to introduce you to Sol (inaudible) from Parkgate Aspen, and he can then introduce Shanaya and also his firm, and if you have and questions for him, please feel free to pose them to him. Sol: It’s certainly very nice to see so many people being involved. I go to many tenants’ meetings and apathy is the key word there. It is a lot of things to worry about and certainly this building is coming up for its thirtieth birthday and it’s having a kind of mid-life crisis. We made a name for ourselves as a private management company; probably the most established private firm specialising in quality blocks in London. Many others have sold out and are unrecognisable, some are involved in sales and lettings with a totally management operation, My colleague here, Shanaya Prakeh is one of twelve management surveyors in our company, which has thirty-five plus staff who are focused purely in terms of management accounting administration (inaudible). We made a name for ourselves mainly in makeovers of blocks of flats. This one is most certainly one that is ripe for makeover, not because it necessarily would be pleasing but also it’s essential with what’s going on around you. 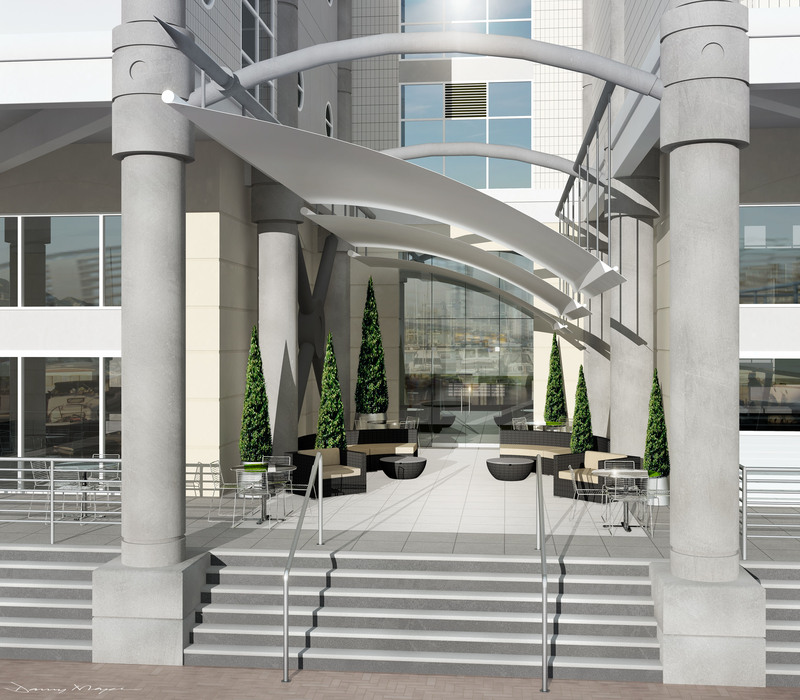 You have a new development coming up across the street, which is going to quickly outshine and outgun all of your values, and you currently have a rather non-inviting and unattractive entrance that you come through every night; this very very cold atrium over here. We see that based on makeovers that we have done to other buildings that every thousand pounds that is invested in the threshold of the building, especially one with so many flats served by that threshold, the maths is just a no brainer; it adds (inaudible) value to your flats. And you need to underpin your values, particularly since that building over there will be without the amazing view that you have, is going to outshine you. You can’t let that happen. Now you have issues from without and within. From within, you have your porterage facilities here; you have great staff but we found them to be very very unsupported and unmotivated and unappreciated for many years. We have something like a hundred and fifty – two hundred porters within our portfolio of blocks of flats and we run them through regular training programmes throughout the year. We take a venue, our managers send specific porters who will probably start, to these training sessions, and it’s not just training, it’s the interaction between porters and porters, and they really feel that they are part of an important industry, which is serving a precedent. So we want your staff to go through that, feel supported, feel valued, and eventually get them proper uniforms so that they will have pride in appearance and you will have pride in their appearance within hopefully, a new environment. 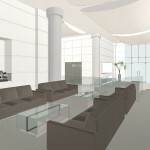 (Inaudible) We will also bring in architects, which is general practice; architects and a team of surveyors. And John has made over a hundred buildings for us in St John’s Wood, in Bayswater; details of which you can find on our website; before and after pictures. In the case of the Bayswater property, very similar in age to this building, although not in the same style but certainly the same age bracket; which had been neglected; was a church commissioner’s building; which had been neglected, and once John had finished with it, it was being advertised as probably the best block on the Hyde Park estate. And I think we have that advert somewhere on the website as well. We want to produce this for you and we think we can do this, we have the experience to do this, we’re very excited about doing this. We also want to make this particular building a centrepiece for other buildings that we would hope to do similar work for in this neighbourhood. Right now, we’re in central London; we have a number of blocks in the neighbouring postal districts; two very large new developments there. As far as the water side is concerned, we would like to make an example, show a great example. You will be the beneficiaries of that example and we’ll b the beneficiaries; it’s all in one solution. So over the next coming weeks as we all work up to our (inaudible) takeover, we will be sending round a newsletter to explain where we’re going; what our first one hundred day’s plan is going to be and John will hopefully have some visuals to upload and give you access to; you can vote on things that you like and suggest the things that you would like to see added to that. We’d like as much feedback; this is a really combined effort to bring this place to the next part of its life. If you have any questions, I’ll be happy to answer them. Sol: Well, you know, as I say, ten thousand spent on a threshold is… the math is a no brainer. There are reserves which are there but we can’t use all of those reserves up for just the cosmetics. You have some serious problems out there; we’ve got leaks from high gutters, which is causing staining and algae and so forth, and so we’ll have to get in abseilers or failing that, scaffolding. But those things are going to have to be addressed. There’ll have to be an initial cleaning to get all those horrible contaminated light bulbs and things cleaned out, cobwebs and stuff. So all that is going to happen hitting the ground, while John is working on his designs. He will produce a Capex capital works plan through which over a period, the most important priorities will be dealt with; front end, and you’ll know exactly how the budgeting’s going to go forward and hopefully with a straight line, you’ll get more bang for your buck in terms of the current service charges and you’ll have best use of money in the bank for the Capex programme. Yvonne: And so that Capex… that John’s production of a ten year Capex plan, will then allow us to see whether the rate at which we’re currently collecting the reserve fund, whether that needs to be adjusted, either up or down. Yvonne: When we talk about the atrium, we’re talking about the porter’s office and everything so we’re looking at completely reconfiguring this space so there’s enough space for storage of the parcels, so it doesn’t look like the Amazon warehouse in there as it will in the run up to Christmas. You know, the back area here, you don’t want to walk past going there but of course to do that within reason. Because I really don’t understand why a flat in Tavern Key… you know, take out the new build discount, why should it get more per square foot than a flat here when most flats have much better views than the one at Tavern Key? Sol: There’s no way, from a sensible view, you can possibly lose. Whatever you invest in your threshold… and we’ve learnt this from other buildings. And I think after forty-five years managing blocks of flats in London, I’m absolutely convinced that flats in London are undervalued by shoddy common parts, for the want of a lick of paint or the want of a little bit of new lighting and tiling thresholds; they would all go up. But there’s no vision there. Yvonne: Yeah, no vision yeah. You should be seeing that vision placed before you in about a month’s time. Audience: Will the (inaudible) of the roof be addressed? (Inaudible) When you approach those flats and also from that side, you can see that the roof has been patched and repaired and filled with various (inaudible) in the last few years? Is that part of the plan? Sol: Yes, John’s actually eyeballed that. John: Yeah, it does look as though the roof is coming to the end of its useful life really. We can carry on patching it but at some point we’ll have to bite the bullet and thinking about renewing it. There’s the issue of insulation as well. This was built thirty years ago for artistic merit but not a lot according to how people were going to be doing underneath these roofs. So that would obviously need to be looked at. Yvonne: Yeah, I know and just to let you know… Was it in early summer? We met one of the project architects on this original project and we met him a couple of times and he showed us some plans which we’re hoping to see how much use they are to us. But he was frankly amazed at the fact that some of the stuff had survived this long. He thought that a lot of things were past their useful life so of course for us, because we know that – March is the halfway through the service charge year – we send out the demand for the second half of the year; if we have a better handle on understanding what the ten year plan is and we can see how much it costs to do the roofs, what would be the best way to do it etc, we can have that transparency and we can then see how much of the existing funds, plus what we’re building up. We’ve got quite a healthy fund being built up; we don’t want to use it unwisely but at the same time, let’s be realistic as to whether it really is enough or not. Audience: I think in terms of actual purposes, when I was looking at ten year plans… (inaudible) I could see somewhere in the plan, maybe further down, there was going to be expenditure to improve the general appearance. I was spending money on a part of the building that could be affected by the fact that the roof leaks and is well beyond this budget. I think we just need to be careful with the plan. Yvonne: Well, part of the problem here is that a leak upstairs can even miss, can go down the side of that and go down a few floors and appear somewhere else. You know, there’s no rhyme or reason to the way the plumbing in this building works. Audience: So you hope to take over, if you have all the information, from Newton Jones? Shanaya: Yes, we’ve had instances where we’ve had to hand everything over; we’ve had drips and drabs and eventually we just had to take the lead and identify the issues ourselves but yes, we will be able to. John: So I was just going to make a point that essentially, what we’re saying is that just so that everyone understands, the capital value of the properties will increase but it’s in a cash flow circumstance to make that happen by paying into the service charge. Sol: Yeah, I think once you have the ideas in a visual form, and you like them, I think everybody will become interested and enthusiastic about seeing things moving forward on a number of different fronts and when we have that atrium out there, we have this entrance over here so don’t forget (inaudible). Yvonne: Yeah, the podium and the tower so it’s not only going to be concentrated on here. The whole building is going to be taken care of in terms of common parts. Sol: And buyers will notice this; noble estate agents will notice that this is part of a programme and this place is being remade. And then again, it all comes down to values, whether it’s sales values or otherwise. Yvonne: Any other questions for Parkgate Aspen? Also Sol, would you like to comment… you know, in your proposal and you said subject contract, you were going to set up an office in the area. So can you just update us on what’s the progress with that? Sol: Where are we going to be? Shanaya: Well, we’ve found an office in Canary Wharf, which is one stop from Canada Water. So that’s the plan to start on the first of January. We take over on the 21st but we obviously need a couple of weeks to get set up, after which you will have our contact details, you’ll have my direct email address and it’ll be a lot easier to come to and fro, as an when. Obviously, I’ll do my weekly inspection but I’m always on the other end of a phone or on email. That’s where we are with that. Sol: Another thing, in the review of all the contracts we’ve got, we’ll be looking at things like coverage for when the porters are away or sick or so on. At the moment, as you all know, it’s been a bit patchy with some people being good and other people not so good. We want to try and sort that kind of thing out so all the reviews of all the contracts, we’ll be looking at everything that we have here by way of service provision, to make sure that we get really good value for money and that people are reliable and the work they do here is worth what we’re paying them because that hasn’t always been the case. Audience: Are there any plans for installing fibre optic, because I mentioned it two years ago and nothing has ever been done? Sol: It is actually in the works at the moment. We’re looking at, at the moment as we use Hyper Optic in a number of other sites and more recently, on a very large development; 360 flats; the (inaudible) asked us to go council to check the (inaudible) green, which is the Wayleave agreement, which they use. And bearing in mind that you’re going to become your own freeholders soon, we felt it’d be useful to plagiarise that council’s agreement; just make sure that whatever we sign up is not (inaudible) is what you want to do here as owner freeholders. So it’s definitely in the works to happen and hyper optic are a very good organisation. Yvonne: And they’re very keen and so yes, you know, you may recall that yes, we started this discussion about hyper optic two years ago. Before the last AGM, we said we actually had an agreement, we’d agreed the Wayleave agreement but we, the board, Baltic Quay Management, couldn’t sign it. It had to be signed by the freeholder; the freeholder decided not to sign it because he wanted to sell the freehold to us. We’ve kept in touch with hyper optic and what they’ve now done is said that… We said we’ve got the freehold processes better, it’s going on course and everything, and what they’ve said is that they’re willing to take the risk and actually order, put the order in to BT, because it takes 3 months for BT to then plumb the fibre out here. To do that, because we hope to have the freehold within 3 months, and so that as soon as we have the freehold, we can sign the Wayleave agreement but in principal, the position we’re in now with Parkgate Aspen is that at least if we can say right, the Wayleave agreement is ready to go, it’s just a question of we need to have… We have the freehold companies set up; that was done last week; but to be ready to go for that. Hyper optic also realise that as David or Tom had mentioned a while ago, that… I think one of you said hyper optic are aware that BT is planning to put in fibre optic in this area and so, hyper optic accept that eventually some people might switch away from their service, right? Because the deal with hyper optic is that they will put it into the building and they will run the cables to everyone’s front door, and then it’s up to you to decide whether you want to sign up and get it into your flat or not. That’s at their cost and of course there’s an advantage to signing up initially, as part of the first wave, as opposed to signing up later. And we’ve dealt with the concerns over what happens if you have a tenant who wants it and the landlord doesn’t want to pay for it, the tenant’s paying for it and then the tenant moves out part way through their contract period with hyper optic; that’s all being taken care of. So we’re really hopeful that we will have the service in place in the next few months like as a reality. Sol: We just want to make sure that in a year, two years, something doesn’t come up which we miss and it’s because hyper optic are so keen, we need to make sure that we cover all our bases before signing. Audience Speaker: You just move from hyper optic installation; I’m still on the Facebook group and it isn’t going at all well. But I think it’s mainly because this is a group of five or six squares and how to cable it appropriately. They’ve done a lot of external work and there’s been lots of complaints about the visual appearance of the cables on the outside of the buildings and that needs to be addressed. Sol: And that’s the problem; they want to get in straightaway and they start putting cabling everywhere and you kind of have to take a step back because for them, they’re in the building and that’s fine but for everyone else they have to look at these cables. So yeah, we just want to make sure that like Yvonne said, it’s in the pipeline and it’s almost there; we just need to make sure the legalities on the Wayleave are up to scratch. Yvonne: Okay, any other questions? No? Okay. Audience: Sorry, I have one more question. So it’s a bit of a controversial topic probably. So I have a pet policy at work and I want to bring up the potential of having small dogs in the premises. Melvyn: You say small dog and then someone will come with a Labrador. Who’s going to measure the size of a dog; let alone the noise they make? And much as I’m a cat lover; we have a cat at home; and that is a difficult question, I can assure you. Sorry. I wanted to get in just in case. Yvonne: That’s all right, thank you, Melvyn. You’re always welcome back on the board again next year. Your health seems to have recovered quite well. Yvonne: I mean in terms of animals it’s against the terms of the lease. When we require the freehold, we can look at it. 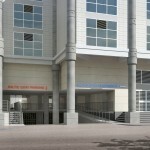 But there are many reasons why in… this building especially also has a problem with echoing. So I know someone has told me well, babies make noise too. I said yes but babies don’t cry forever and they grow up and we have lots of young kids who don’t make noise in this building. So you can train them etc… But I think for now we’re not in a position to promise anything about that question, that’s a question for a different time, for a different company, not for Baltic Quay Management; the lease holders. Melvyn: Even if you had freehold, you won’t be able to change those leases. Audience: Or a 163 wouldn’t agree and then you’d have to pay. Audience Speaker: Can I suggest instead of a dog we had a hawk? Yvonne: That’s a very good idea; the hawk. We’ll talk about that. I think some of you also have these pigeon spikes which are very unsightly and if you have balconies in a tower, you have the (inaudible)… So both John and Sol were talking about some more recent… Well, we think are brand new; innovations of dealing with this that don’t involve such ghastly spikes. Audience Speaker: There are new systems, like a very tight steel thread, which keeps the pigeons off so we certainly want to get rid of all those unsightly spikes. Yvonne: And fake hawks apparently do the trick. Audience Speaker: And the genuine ones. Yvonne: And the genuine ones. Maybe we should get some fake hawks for Christmas and see if they work. Audience: There are a few places where pigeons roost. So if the pigeon has a roosting spot, then they’re much harder to deter. If you get rid of the roosting spots, there’s much more chance of it being effective. Shanaya: We’ll definitely look at all this. When we start going through our list of what needs to be done. Sol: Going back to the building across the road, going back to hyper optic for a moment, recently particularly there have been similar problems with TV reception in the building. The system here’s pretty old and it’s not been kept up to date; it’s not been maintained as it should’ve been, which what’s caused some of the problems. I think hyper optic are saying that they would also be able to perhaps have an alternative facility for TV reception as well, which might help. John: That’s later on, that’s further down the line. We’re trying to get that accelerated in some of our other buildings but we’ve had to install digital and TV reception, which are some very very good systems, Again you know, as our needs basis, if that’s what you wanted to do much earlier on, between 163 flats, the kit will be comparatively cheaper than it would be on some of the buildings we’ve done. Yvonne: You mean in each flat? Audience speaker: Yeah, as you walk in. I’ve seen some pigeons in there for a number of months; I feel like I’m making pigeon omelettes in the morning. Who’s responsible for that; is that-? Sol: As managing agents, we’d want to treat those areas as common parts because if we don’t, and everybody does something different, and we wind up with complete patchwork. So we want to find a solution to that. Yvonne: Pigeons are high on the list. In addition to also the CCTV; camera and security. Yvonne: The CCTV system here again, is old. It’s not digital so the recording here is not very good. Most of the cameras are only black and white and don’t produce clear images of car numbers and so on. The two most up to date ones are the ones that were put into the porter’s office to keep an eye on the porters, which I think speaks volumes. The police often come here because obviously in this area, there is quite a lot of activity during day and night. As you know, from time to time, we get spates of street robberies and so on. George is (inaudible) he is, but he does need a CCTV system that works properly as well. So that when the police come here, they can look at these recordings and they can see what’s going on rather than a blurred black and white image that doesn’t really tell much at all. And it’s also for the protection of the porters because they petrol around the building and so they really need to see who’s outside and what’s going on outside before they step outside themselves, which is fair enough. Shanaya: That’s one of the things we saw when we first came here. I’ve actually got in one of my buildings a really good system; state of the art cameras, the imagery’s really clear and actually the police came to that block – there was an incident in the street and our camera was facing it. And now everything is wireless so I have access to the system as well from my desk. Again, it’s on the list. Sol: Again, if we make a comparison with the building opposite, they probably have up to date CCTV covering much the same bit of road, which would be quite useful. I don’t know how far away they are from completion. Yvonne: Don’t know. Okay, thank you. Audience: I have a question for Sol. (Inaudible) some things you’ve mentioned in terms of success over the next 12-18 months… would you want to have surgeries and consultations? (Inaudible). Sol: Well, we certainly would want to have surgeries in the early parts in order to get the handover; no fault of JAR, has been sparse. We would much rather have surgery sessions so that people can tell us, quarterly, if they’ve got a problem with insurance payments, they’ve got issues with floors; whatever happens to be; we need to go through that process. In our experience, surgeries eventually peter out when people’s problems are dealt with. And then everyone will pretty much know; Shanaya and I and other representatives, will be around here; of course we will be. We won’t know exactly when that will be but yeah, it will be an ongoing process. Yvonne: (Inaudible), have you got any questions? Sol: It doesn’t work very well and probably in practice, the SLA. It works very well as a service… Basically, what we have is that we have a totally dedicated management staff. All of the service personnel; the porters, the directors, have mobile phones and everyone who’s going to be involved with this; everything will be responded to pretty much the same day. We have a 24/7 business line; we have a live answering facility. So Sunday morning over Christmas, somebody’s got a leak in their flat, they’re going to be speaking to a (inaudible) surveyor by calling our main telephone number and the operator who’s answering that is a property manager and that property manager has a list of all the approved contractors that we use in this building for whatever particular purpose. That’s how it gets dealt with. It’s a very very different set up. So we could create all kinds of SLA statistics and targets and so forth but actually it’s not an issue; we do things in a very very different way to others. It’s the best way I can explain it. I think SLAs would probably cramp our style. Am I explaining it right? Shanaya: Yeah, I mean in terms of… Are you talking about responses to emails or calls? Shanaya: For example, say it’s going to be me; I’m going to be the designated manager. So if I was in the office and it’s something I can deal with straightaway, i.e. : you emailed me and said I have a statement of account for my flat, I would respond to you straightaway, if I was in the office. If I was out, I would send you an email that same day saying I’m out at the moment but I’ll get my assistant to do it or I’ll do it tomorrow morning or whenever I get back. You’ll never, and I don’t know if I should say this now, there’ll never be a week goes by or four-five days where you just get ignored. You’ll always get either a holding email if I can’t deal with it straightaway or I’ll refer you to the office and say give them a call, they’ll help you. But Sol’s right, working like that, it does cramp our style because there may be a time when I get sent an email at 10pm. If I can reply to it, I will. If I don’t think I need to reply, it can wait till the morning, then I’ll do it in the morning. So we don’t really work in that way but I mean always if you send an email and it’s not replied to that same day, you can always give us a call and it could be that I wasn’t working that day or I was out of the office or an emergency came up, but we always endeavour to reply to you the same day or at least within 24 hours. Sol: And everyone will have, through our newsletters and whatever… online website that we have, a road map of which of our thirty-five staff are particularly dedicated or most commonly associated with your block. So it will be colour coded; this person is responsible as the portfolio manager of the accounts department, this person is the manager’s assistant, whose dealing with Shanaya. This is Shanaya, this is me, here is my FD, and so forth. You will have the DDI numbers and the email addresses of all of those. So it won’t be a situation where if you need a statement of account, you wouldn’t know where to get a statement of account. Shanaya: And we understand that communication is a big failure of some managing agents and Sol has hammered that into all of us. So even if we can’t help you straightaway, we need to make it known that we’ve received what you’re saying and that we’ll get an answer to you as soon as we can. Shanaya: In terms of units? Not including Baltic Quay… about 560. My second biggest one is 157 flats. So similar in size but not similar in age. Not actually much similarity, just size. Audience Speaker: Do you set a target for (inaudible) property management to have so many units? Sol: Because we’re a private… And we haven’t got people managing us for all kinds of things like shareholders, we’ve got the lowest ratio of blocks to managers of pretty much any firm; any similar firm to us. At the end of the day, a manager’s got two ears and there’s so many hours in a day and (inaudible) he or she is going to respond to calls. You can’t just say to them you’re managing 560 units this week and next month you’re going to be managing 1200 units, which does happen in the industry but it certainly doesn’t happen with us. We have 12 management surveyors and the burden is very nicely shared out between them. Audience Speaker: I’m just trying to gauge what the optimum number was or will be. 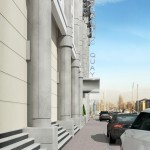 Sol: I think it should certainly not be any more than 750 flats and again, some buildings are different to others. You know, our largest estate is 360 flats so sometimes a block of 7 flats will cause more problems than bigger ones. Sol: It’s the 80/20 principle, you know. Yvonne: But as part of the handover and moving to our mid-life or past our midlife crisis, we’ve had really great support from you in terms of giving us your up to date email addresses so we can contact you by email. It’s faster. We are putting internet in the porter’s office and you will be able to communicate with them by email and they are hopefully going to be emailing you when you get a package so that you don’t have to think do I have a package, do I not have a package etc? And we’d like to also have that communication; back up communication also with Parkgate Aspen in addition to the telephone calls and the onsite visits. But I know some of you here are not resident in the building and you are renting a flat; we need up to date details for the tenants. You know, partly it’s because we’ve started… the porters are receiving packages and they don’t recognise the names; they’re addressed to a flat in Baltic Quay; they don’t know the name. We really don’t want to be taking packages for people who don’t live here. And then also because they are resident in the building, they also have a right to know about some of these changes that we’re putting through and so we’d like to at least have a mechanism by which they’re also part of our community, who are aware of what’s going on because landlords won’t always tell them and may not always feel the need to tell them. And if they want to put into common parts or what we share then why not? So for those of you who are landlords; actually, just for everyone; can you please make sure that we have up to date – you’ll maybe get sidetracked by George asking you to just confirm that we’ve got the right telephone numbers; mobile telephone number; for you? We’re only missing a few email addresses for the 163 owners, which is quite good but then for the tenants, it’s very patchy because of course for some flats, they have more turnover than others. So we’re just asking for your help in that. Then just coming onto… So thanks very much from a managing agent perspective. Just now coming back to company business. A few people have remarked that they noticed Keith Duncan’s name disappeared off the last newsletter and we didn’t actually formally announce it. So I’d like to take this opportunity to thank Keith Duncan for his contribution. You may recall that at the AGM he did signal… We were voting on whether he should stay on as a director or not; he did signal that irrespective of the decision, he was going to step down by the end of the year. So Keith… some people are questioning if you’re stepping down because we appointed Parkgate Aspen. Yvonne: And at the same time, I’d like to take the opportunity to welcome Jane … We’ve co-opted Jane Bowey onto the board so Jane, perhaps you just want to introduce yourself to the rest. Jane: Hello. I’m going to stand up. Hello everybody. My name’s Jane Bowie and I’ve lived in this building for three years. I’m high up in the tower so very cold and very interested to see what we can do to insulate it if possible. I’m an insurance underwriter and my background in insurance is five years plus so I hope to be able to help the board with any insurance issues that we may have and may have going forwards. And I’m just really looking forward to being a part of this and getting to know everybody so thank you. Yvonne: Thank you, Jane. Ed – I think you can leave now. We just have a break in the meeting because then we can talk about the freehold; brief freehold update. It’s only going to take a few minutes so if you want to hang around, you’re welcome to but if you want to go, I don’t want you to… Okay. Just a quick update on other things. You may recall that we had said about the… we increased the service charge slightly. The explanation we gave is that the increase was mainly to help us with the payroll… the view towards paying the porters a living wage because I think most of you recognise porters, in addition to feeling undervalued and demotivated, are also poorly paid. Some of them are basically paid minimum wage and that may contribute to part of the situation that we have now. So of course we’ve taken some… JR have given us some ideas as to what he going rate is for a porter. We know that we have a deadline by which we have to start paying a living wage or something… And we also have a pension enrolment but we’re not due on the pension enrolment until 2017. Okay, so we have to take that into account when we look at the age of people like George etc. What we would like to do is, given that we’ve increased the service charge a little bit, is give the porters an increase but not a full increase to where we think they should be because part of this; we did have a review of the job descriptions and that was also causing a lot of pain in the last 12-18 months. Parkgate Aspen, as part of their standard management charge, do cover health and safety assessments, they do cover payroll, HR issues so we will not have to pay an external consultant for support in these areas. What we would like them to do is, you know once our porters have gone through their training course etc and have a better appreciation of what is expected for the role, you know then we would seek to then tie the increase up, to get them gradually to actual improvement in performance. We don’t want to just increase your service charge, you know ask you in March to pay an extra… I don’t know how many hundred pounds on top because we’ve increased the salaries from a very low starting point. So we recognise we have to be fair to the porters and we are going to be fair to them but it’s just that we may not get to where we need to get to immediately. But the goal is we are going to give them an increase that will be back dated to the start of the service charge year and we will give them… They did receive a Christmas bonus last year for the first time ever but this year they will receive a slightly larger one. So that’s on company business. In terms of the freehold, as you can see Chris McCartney isn’t here; he wasn’t able to make it but in terms of… We sent out the update and in the update you will have seen that he gave some ideas as to the different companies’ structure. At the time he wrote that letter, we had not formed the (inaudible) that would buy the freehold. We have formed it; it’s registered and we have notified the freeholder and they have confirmed receipt of the notification of the (inaudible) so now they’re in the process of preparing the contracts for the purchase and for us to be able to exchange because then we have the statutory 2 month period to exchange contracts. And they’re also going to respond to some enquiries around the parking. Alongside that, the council was already instructed on the parking issue, to talk about some ways… The key question, do I take on an extra liability if I become a freeholder and also how can we really solve the problem in a painless way; the least painful way? I spoke with Chris McCartney on Friday and then following that, he briefed me on the updates he’d had; the discussion he had with the council. I spoke again with one of his team this afternoon and I have a call with him early tomorrow morning. There is a letter we then hope to be able to; once it goes to the council; we’re going to summarise for you so you can see where we are at the moment. So I can’t say that we’ve got the magic solution but we’re not going to do anything that would mean we’re taking on additional personal liability for that issue. There are a number of different options of dealing with the parking issues; some more timely than others. Yes, it affects only twenty percent of the flats, but if you’re in that group of twenty-twenty five percent who are affected, it is a big issue for you. If you’re not in that group, if you’re in the majority not affected by the issue, of course you’re concerned about do you take on any extra costs by participating in freehold? That would not be the case. Audience speaker : If you’re in that group, would you know it? Yvonne: You may know it but I can send you the parking report that was done earlier this year that could tell you if you are in it. Yes, so happy to do that. And we’re hoping to on our Baltic Quay London website a library for all this freehold related stuff; so all the communications and emails and the documents that we’ve sent; just have a library there that you can access. The issue… Tom is our communications person. The issue we have is that at the moment, the website is open; it’s not fully protected. We wouldn’t want some of those documents to be available in the public domain and so the question is how we can make a part of the website protected so that only people who have a right to access that information can. Yvonne: No, he’s doing a great job in supporting us on that so just be a little bit patient with us to get some of that stuff but when we do have that part of the site, we will have things like you know, you need a copy of the insurance request policy for your remortgage and also the basic information that you need for a sale pack… You know, should be able to have it accessible to you. And also the financial things because that was one of the things Parkgate Aspen assured us, as part of the (inaudible), yes, they can produce quarterly accounts no problem and those should be available to us within a certain period at end of the quarter. So at least then we can understand what is happening with our money here and where we are. So happy to take any questions, otherwise I’ll close the meeting because we’re all going to become ice blocks. Audience speaker: I don’t really understand. Which of the four ideas is going to be adopted? I don’t know the subtleties to it. Yvonne: We’re going to have a vote on it. I think what we’re going to do is we want to give people a bit more information. 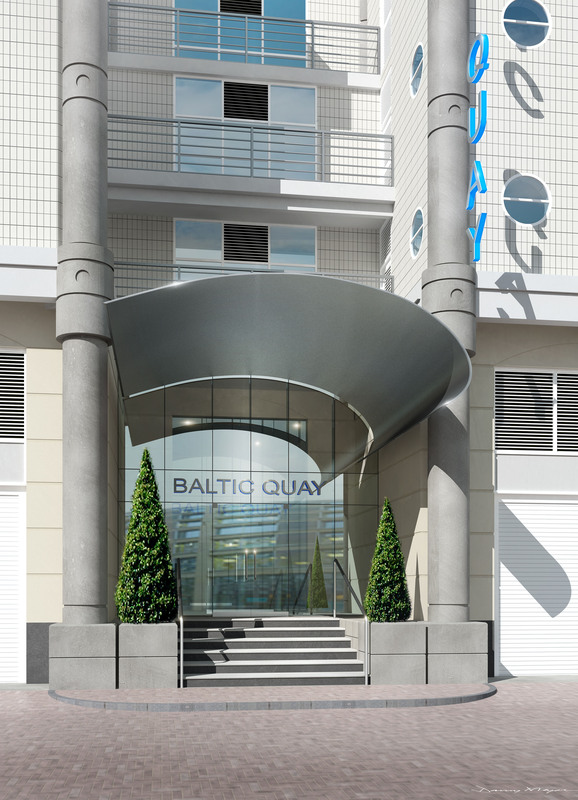 At the moment the company that we formed is called Baltic Quay London Freehold Limited; we thought we’d do Baltic Quay London because there is a Baltic Quay I think in Newcastle or somewhere. We don’t want to confuse the two. Plus it also is easy to remember with our website. That’s a company limited by shares but companies’ law has changed so much now that you can set up a company with one structure and then you can change it relatively easily. Audience speaker: So you haven’t yet decided? Yvonne: So we haven’t yet decided, no. Audience speaker : We’ll get some more info on it. Yvonne: We’ll get some more information and then we’ll let people give us an indication as to which option they prefer. There may be a third option, I don’t know. But to that end, I’d also like to invite people to put themselves forward to be on the board of the Freehold Company. 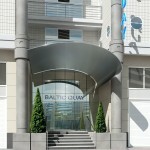 It is a separate legal entity to the Baltic Quay management. Yes, we have a lot of crossover because now we have about 123-124 flats who are participating and we’ve had some more queries come in in the last few days. So we’re hoping that that number will continue to increase and we think some people are just waiting to see where we land clearly on the parking issue before they decide to go in or not. Just to reassure you on some of the concerns around the costs… I mean, we had asked people to contribute to the budget up to £1000, if we were splitting the cost equally. You remember the freehold evaluation report indicated that there are a number of flats that are in short-term leases and they’re the ones who are actually driving most of the cost of the freehold. You know, of the £24,450 and it’s common practice that you would then allocate that share according to your flat’s percentage of the independent valuation of the freehold, which is about £65,000. So basically if you’re in flats 7-17, you’re going to pay more than 150 for your share of freehold plus legal costs. If you’re in other flats, you’re going to pay less and some of you will pay considerably less than that for your share of freehold. But the legal costs are allocated equally across the piece because there is no difference in work based on what your floor size is. Audience speaker: Am I right in thinking all the parking spaces will be redistributed? Yvonne: Not all of them. Not all of them will be redistributed but there are some people who are going to have to move back to where their lease originally said they should be parking because they moved onto a space that wasn’t available for them to move onto. Audience speaker: I’m only asking this because I don’t have a space. Yvonne: But are you in a flat that never had a space or are you in a flat that actually has a-? Yvonne: So one of the things that the barrister is looking at and this is in the next piece of advice that has come out, he’s explored the idea of applying to the tribunal… We can take on the freehold knowing what we need to do but one of the ideas with fixing as opposed to having to vary everybody’s lease individually would be to actually get the tier one tribunal to vary everyone’s lease onto a particular plan. And that variation would be filed at land registry so then when you come to sell your flat, they’ll pull out the original lease and then they will pull down this one with the new plan because eventually, over time, you remember we have 4 different versions of even the same parking plan. We need to get to, over time, an ideal world, one consistent version because then you’re not going to be in a situation where you buy a space not knowing that somebody actually had a deed of variation over your space because most surveyors will not actually do a search of the whole title and get all the title deeds, all the deeds of variation and then work through that as part of the standard fee that you pay for selling your flat or buying a flat. They just won’t do that. It’s not within the terms of what they normally do. But we’re hoping also that the overall improvements we make to the building will benefit everyone and offset any potential reduction in the price of your flat because you might still have a dispute, a potentially disputed parking space. Audience: So are you notifying everyone who (inaudible)? Yvonne: We will notify everyone; that’s part of my pre-Christmas… No, I’ll do it after Christmas; I won’t spoil anyone’s Christmas. Everyone had access to the report but they may not have paid attention to it because it was at a time when we had a lot of communications going out and ping pong and everything but yes, we will be notifying those particular flats involved. In the interests of transparency, everyone gets a copy of all the documentation so you will be able to see it as part of making your final decision. Well, thank you for coming.